From the May 6, 2005 Chicago Reader. –J.R. The most original filmmakers working today tend to be identified more with their respective national cultures than with the world at large. The work of directors such as James Benning, Luc and Jean-Pierre Dardenne, Hou Hsiao-hsien, Jia Zhang-ke, Abbas Kiarostami, Kira Muratova, Jafar Panahi, Béla Tarr, Tsai Ming-liang, and Edward Yang is seen as specialized, local, and esoteric. But I’d argue that what they have to say about their countries is secondary to their larger concern: the bewildering, tragicomic, and often disastrous effects of modernity on traditional modes of life and thought. The dozen obstinately weird and wild films of Kira Muratova, seven of which are playing this month at the Gene Siskel Film Center, are described by some critics as Russian to the core, and I wouldn’t hesitate to call her the greatest living Russian filmmaker. 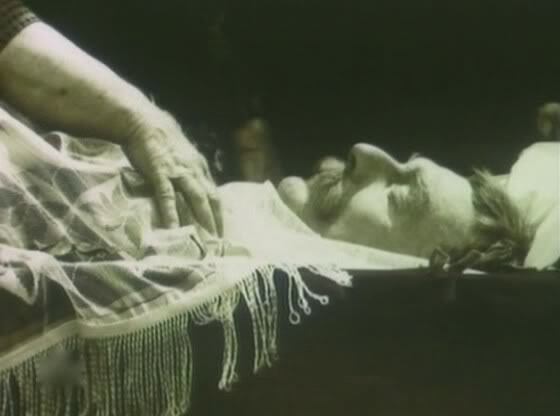 (I’d link Alexander Sokurov’s work to the 19th century rather than to the 20th or the 21st.) Yet I’m not entirely sure what “Russian” means these days or how it applies to her. Born in 1934 in Romania to a Romanian mother and a Russian father, Muratova went to both Romanian and Russian schools, often hiding her Russian identity at the former and her Romanian identity at the latter. Her parents were both high-ranking communist officials, so she had a relatively privileged childhood. Though for most of her life she’s lived in the Ukrainian city of Odessa, her films are in Russian and said to be full of references to Russian literature. But her vision clearly isn’t limited to Russian culture. I’ve often wondered how she gets her films financed, because it’s hard to imagine another director working in the former Soviet Union who’s more transgressive. Since her groundbreaking The Asthenic Syndrome came out in 1989 she’s made a feature every two years on average. 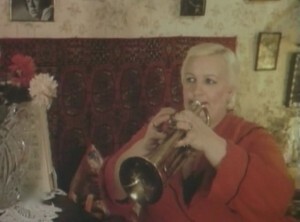 One of them, Passions (1994), even won her a Nika, the Russian equivalent of an Oscar. Critic Ruslan Janumyan has noted that this luscious color film fulfills “most people’s expectations of what an ‘art film’ should be, with a lot of good looking people hanging out on the beach, talking about life, death, and love,” but it still displays all the screwy attributes of her other post-glasnost features: minimal plot, maniacal repetition of a few lines of dialogue (which initially sound absurdist but ultimately register as hyperrealist), an unorthodox style of editing punctuated by jump cuts, a special feeling and fascination for animals (in this case, racehorses and circus dogs), and a highly aggressive, physical, and declamatory style of acting, by professionals and nonprofessionals alike. I got an idea of why it hasn’t been hard for her to get funding when I saw Vladimir Nepevny’s loving 48-minute 2003 documentary Kira (included on the DVD of Muratova’s 2002 masterpiece Chekhov’s Motifs, available from www.rbcmp3.com). It shows Muratova at 69 bubbling over with energy, her eyes remarkably expressive. It also includes warm testimonials from coworkers and collaborators as well as other major directors — from Alexei Guerman to Sokurov to Andrzej Wajda — evidence that many people treasure her as an artist. 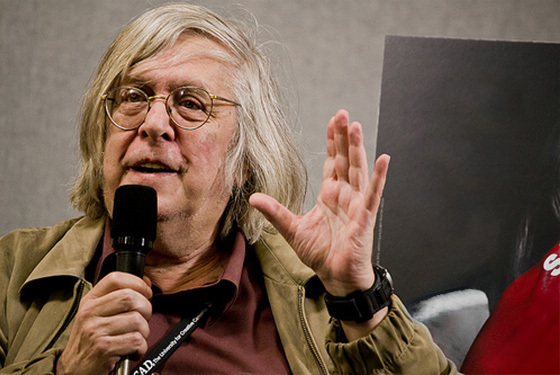 The touring retrospective that will show at the Film Center was launched at Manhattan’s Walter Reade Theater a few weeks ago. I hope this series, along with Kira and a new book about Muratova by Jane Taubman, will give this filmmaker some overdue American attention — her films are rarely screened in the U.S. except at Russian-sponsored events. Unfortunately the New York Times, which often still sets the tone for national coverage of foreign films, ignored the series, perhaps in part because the New York film festival has always ignored her work. The Film Center hasn’t had prints to preview so far, not even of the feature playing this week, Long Farewells (1971), which was banned in Russia for 16 years. 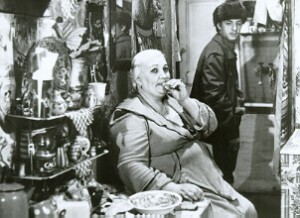 I have seen Muratova’s Brief Encounters (1967), in which she also stars, a fairly conventional film. I’m told that the Russian titles of Brief Encounters and Long Farewells mean the precise opposite of each other and that the films form a diptych — ironic spins on the “provincial melodrama” influenced by the French New Wave. 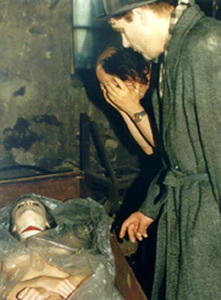 At the time of their release Soviet censors were bothered by the refusal of these films to follow the party line, and years later the censors would label The Asthenic Syndrome obscene — it was the only Russian film banned during perestroika. Despite these and other career setbacks, Muratova has repeatedly refused to take on the mantle of martyr and even criticized the late Andrei Tarkovsky for seeing himself as one. Altogether I’ve seen half of Muratova’s features, including five of those in the Film Center’s series, and clips from most of the others. The more I see, the more complex her talent seems. 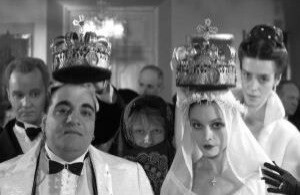 The shocking apocalyptic bleakness and harshness of The Asthenic Syndrome and Three Stories (1997) didn’t prepare me for the cheerfully laid-back goofiness of Passions, and none of these three truly anticipates the demented, hypnotic brilliance of Chekhov’s Motifs. The studied drabness of her black-and-white films — Brief Encounters, Long Farewells, Chekhov’s Motifs, the first part of The Asthenic Syndrome — is a world apart from her intoxicating, riotous use of color in Getting to Know the Big Wide World (1978), Passions, and Three Stories, yet it’s impossible to describe either mode as more Muratovian than the other. Did the New York Times ignore her films because it felt she was too Russian? Because it would have been difficult to sound reasonable while trying to come to grips with her hyperbolic manner? Michael Atkinson described her most recent film, the 2004 The Tuner (oddly missing from this series), in the Village Voice: “There’s a sense of danger here, like being trapped in an elevator with a psychotic — anything can happen.” He’s clearly onto something, because even though this may be the least eccentric work of hers I’ve seen, a dangerous edge is still palpable. Yet I doubt many psychotics have her flair for poetry. 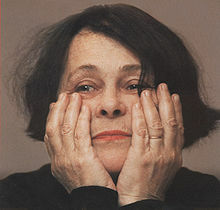 Muratova’s acknowledged influences are Charlie Chaplin, Federico Fellini, Robert Flaherty, and Sergei Paradjanov, and she recently cited Jean-Luc Godard, Pier Paolo Pasolini, and the Eisenstein of Ivan the Terrible as other favorites. Yet the only one whose mark is clearly on her style is Fellini, apparent in her taste for circus colors, crowds, and cartoon grotesques — in The Asthenic Syndrome a huge woman performs “Strangers in the Night” solo on a trumpet. More original is Muratova’s impulse to meld two or more stories of unequal length into a single feature. The Asthenic Syndrome starts out as a 40-minute account of a middle-aged woman doctor raging about the death of her husband (who resembles Joseph Stalin). This becomes a film that’s watched by the leading character in the second story — a schoolteacher who suffers from narcolepsy. The title of the feature refers to a disability that encompasses both the doctor’s violent rages and the teacher’s sleeping sickness — two complementary maladies that satirically reflect current responses to personal crisis and social disruption. Three Stories, which Taubman has suggestively called Muratova’s spin on Pulp Fiction, offers three contemporary tales about cold-blooded murders that go unpunished. And Chekhov’s Motifs conflates and updates two obscure early Chekhov works, one a story about a student leaving his family’s farm to return to school in the city, the other a one-act play written as a joke — which Muratova puts a perverse spin on by having the action unfold in real time during an hour-long Russian Orthodox wedding. These are my three favorite Muratova films at the moment, but all of them reflect the catastrophic, alienating collision of traditional life and the contemporary. These traditions happen to be Russian or Soviet, but they could just as well be ours.